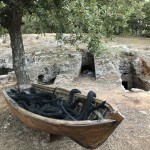 The site-specific installation “Wooden boat with Seven Snakes” by Kalliopi Lemos in the late Minoan cemetery of Crete focuses on the journey through life to death. 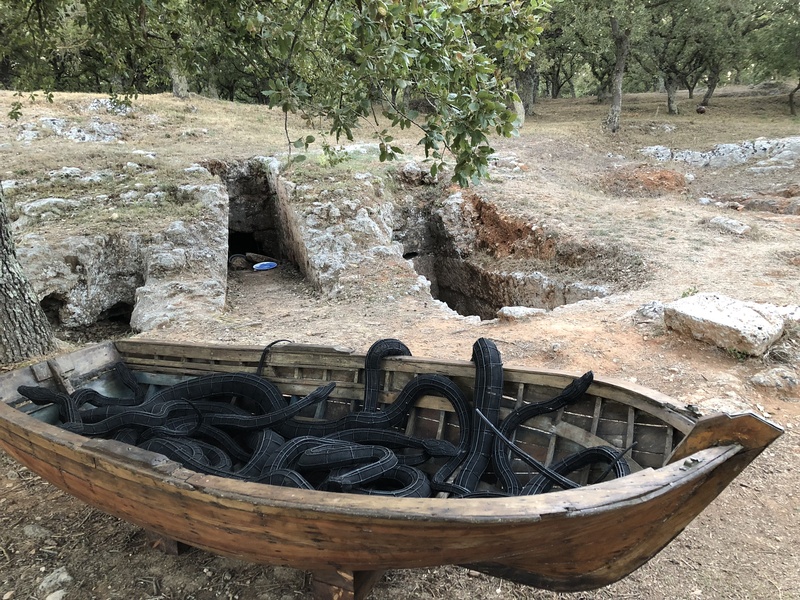 This large-scale sculpture of a wooden boat occupied by a mass of coiled steel snakes, makes a direct reference to the archetype of rebirth. 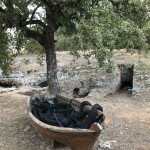 Thus, the boat once used to transfer refugees from Turkey to Greece in hope for a better future now is elevated as a symbol of rebirth towards a new life, creating a dramatic statement with the place it was exhibited. The exhibition “Crossings” was organised by the Rethymnon Ephorate of Antiquities and the Museum of Contemporary Art of Crete.